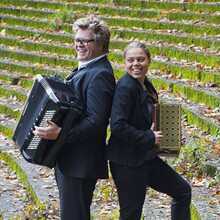 Accordion players Anne Niepold and Gwen Cresens share the same vision on music, each with their own characteristic style. They always look for a different angle, an original approach, a surprising melody, a strong arrangement,a spontaneous execution.However, there is still room for improvisation, often eclectic, challenging and playfull, but also melancholic and narrative. Monochromatic is an extremely varied program,going from Bach to Nirvana, apart from a range of own compositions. Monochromatic unites two very divergent personalities and two magnificent, totally different accordions. They already played amongst others on the Festival d’art in Huy and on Carrefour mondial de l’accordéon in Quebec. 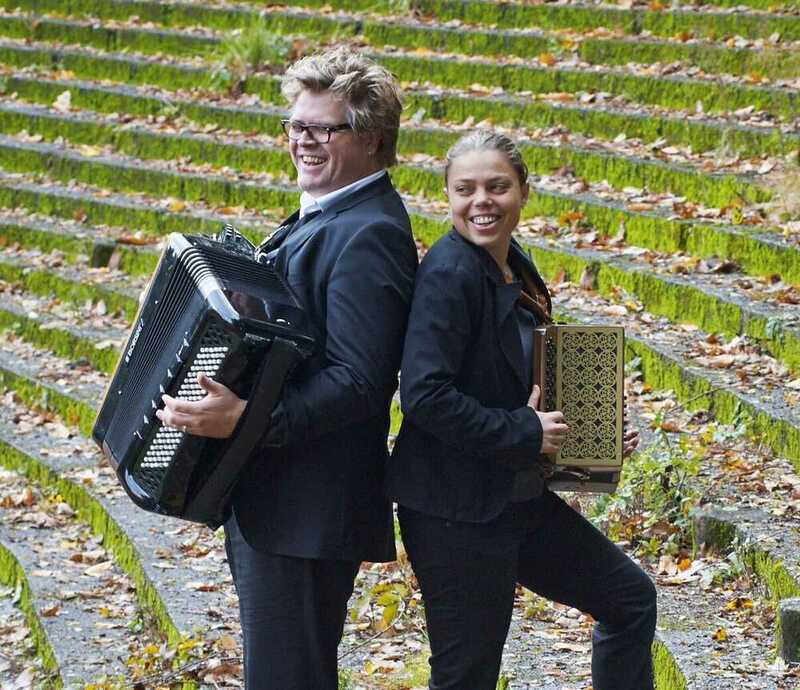 The in Brussels residing German diatonic accordion player Anne Niepold approaches her instrument on an unknown, original way, departing from the traditional folk, but enriched with many other influences. She studied jazz composition at the conservatory of Brussels, received the Toots Tielemans Award there and took masterclasses with amongst others Richard Galliano. She played with Graindelavoix, Zonzo compagnie, Transparant en Olla Vogala. Her own projects included Deux Accords Diront( which long time ago adorned our stage) and Musette is not dead. Gwen Cresens enjoyed a classical education at the conservatory of Antwerp and quickly got involved in the scene of world music, jazz and pop. He played with Kommil Foo, Raymond van het Groenewoud, Arno, Pavarotti, Taraf de Haidoeks, Ute Lemper, Fernando Lameirinhas, Boudewijn de Groot en Adamo. His own projects so far were Trio Dor, Papillon en Orquesta Tanguedia.